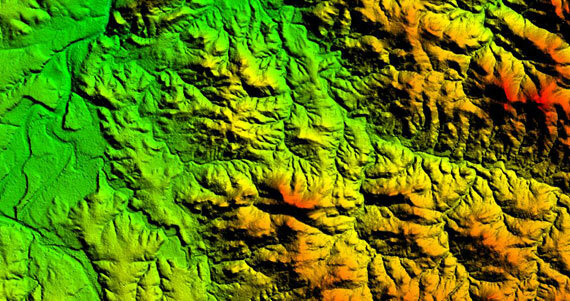 A digital elevation model is a digital representation of the earth’s terrain. 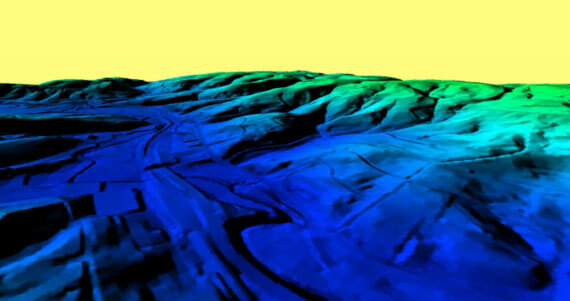 One of the core components within many GIS databases is the Digital Elevation Model. A DEM is created with stereoscopic data, similar to how a 3D movie is made. Let us help you source the raw data necessary for an elevation model that satisfies both your monetary and geospatial project constraints. Accurate elevation models for successful exploration, engineering, land management and simulation. DigitalGlobe’s new Advanced Elevation Suite provides a full perspective for your project area, bundling a highly accurate digital elevation model (DEM) derived from a WorldView-1 or WorldView-2 stereo pair with ortho-imagery and contours. Through our partnership with DigitalGlobe we provide elevation datasets over rural areas of low vegetation. An innovative geophysical technology similar to 3D seismic processing is used that provides unprecedented accuracy from a satellite-based DEM. This product suite can enhance your capability to make timely decision based on authoritative information from trusted data providers. The GEO Elevation product suite offers the most comprehensive elevation data range, providing highly accurate information anywhere in the world, independent of relief and weather conditions. Derived from various sources the elevation data can be matched to individual business needs: large area coverage for large scale projects vs. high level of accuracy for local coverage.